Why Comfort Tunis? Our breeding goal is to keep improving the good qualities of this heritage breed: excellent growth rates,attractive muscling, high twinning with easy fleshing and a quiet temperment. We breed for correct conformation, depth of loin and leg and growth. We still want the appealing show type that is the flag bearer for the breed. Comfort Tunis has one of the largest number of new registrations in the breed per year. 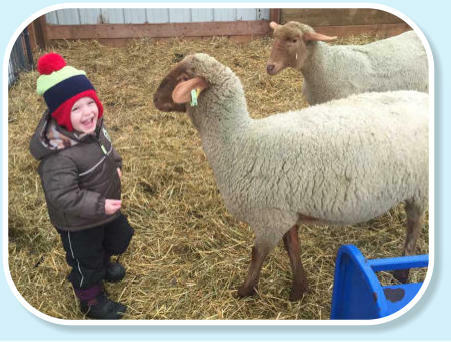 Our flock is on an accelerated breeding program, lambing twice a year in our bright, new facility. Our flock is on the Scrapie certification program and all purebred animals are genotyped for scrapie resistance. We have a selection of fall and spring rams available as well as the popular starter flock of 2 ewes and an unrelated rams. We do ship across Canada.